Last year, we embarked on a major change for the CVFSA. After holding our AGM in Ottawa for nine consecutive years, we made two major changes. First, we took the event on the road to Wolfville, Nova Scotia and were generously hosted by the Kings County Firefighter Assocation. Second, we expanded the event so that it was not simply our AGM, but a full conference. Without a doubt it was an absolutely success. This year, we continued that practice and were hosted in Slave Lake, Alberta by the Lesser Slave Regional Fire Service — also known as the stars of Discovery Channel’s ”Hellfire Heroes”. In addition to the high-quality training, we had three guest speakers join us and share their thoughts, insights and experiences. Ed Struzik, Author — His latest book, Firestorm How Wildfire Will Shape Our Future, (Island Press, Washington D.C, (https://islandpress.org/books/firestorm) is currently an Amazon.ca best seller. It was also shortlisted for the Science Writers and Communicators Association’s book prize. Ed used stories in powerful ways to help us look more deeply into the future and challenge our own beliefs about what is ahead. Daryl Black, Speaker, Author — Daryl shared a presentation on leadership that focused on core questions leaders start to ask including, “How do I be a better leader?” “How do I get through to people more effectively?” “How do I communicate better?” He challenged us, encouraged us, and equipped us to do better. 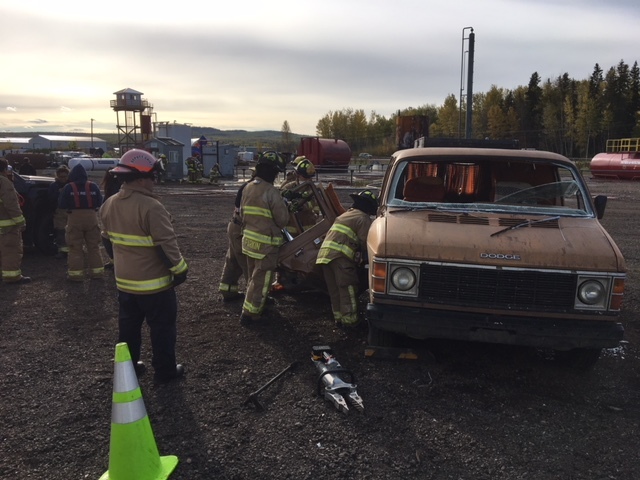 Chief Ken McMullen, Red Deer Fire Services , Deputy Chief Susan Henry, Calgary Emergency Management Agency — We are grateful for this presentation on CANADA TASK FORCE 2, http://www.cantf2.com and how they will interact with volunteer fire departments. Better understanding how we work effectively with our partners is always a priority and this was no exception. Over the course of the Conference and AGM, we were deeply honoured by the attendance and involvement of some very special guests. First, I’d like to thank Air Canada for generously made it possible for some of the first responders from Humboldt to join us. As their story unfolded and the nation turned its eyes towards this community, we joined together to show our support for these important leaders. 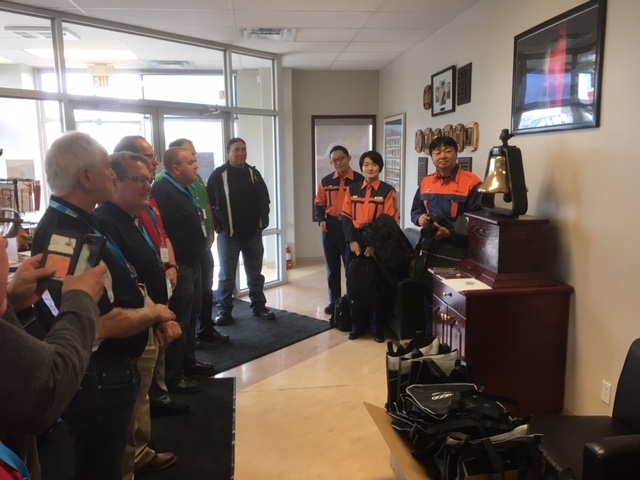 We were also honoured to have with us as official guests of the CVFSA, representatives of the Japanese Firefighters Association. This senior delegation included Assistant Chief Hiroshi Fukuchi of the International Division Japan Firefighters Association, Ms. Okasawa, specialist from Japan’s Fire and Disaster Management Agency, and Dr. Shinohara, Senior research scientist, Technical Official, of the Ministry of International Affairs and Communications. 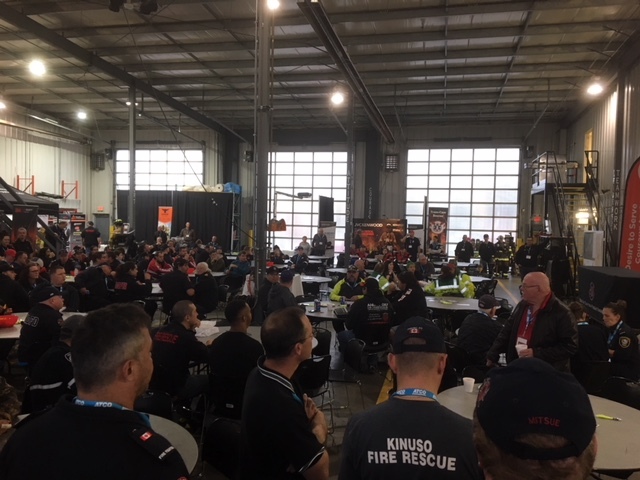 On behalf of the Board of Directors and the 300 participants who joined us, I would like to offer my thanks, respect, and gratitude to Chief Jamie Coutts and his team at Lesser Slave Regional Fire for the outstanding work they did to make this event such a success. It takes an extraordinary level of effort behind the scenes coordinating training, travel, sponsors, prizes, schedules, shuttles, food, entertainment, etc. and this team did an excellent job. Finally, a special thank to CVFSA Vice President Troy Mutch who contributed so much to the planning and successful execution of the 2018 conference. He was everywhere, and always available to provide guidance and direction. This is perhaps the most important event for volunteer firefighters across Canada. Our commitment is to continue to work with you to make it as meaningful, relevant, and impactful as possible.